Finally, in a tried and tested system, Marcus Lamont returns in his most POWERFUL work to-date. 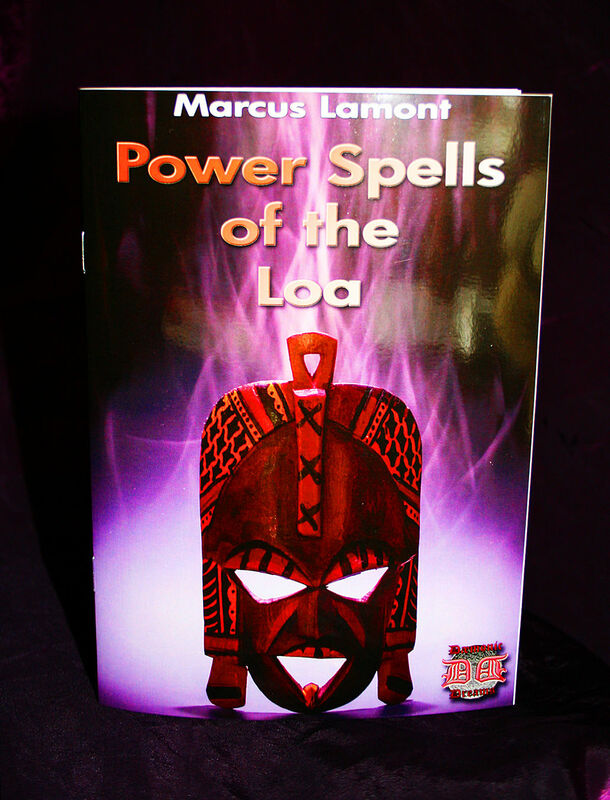 Renowned for his no-nonsense, practical approach to working with the spirits, Lamont has now dug DEEPER than any other author, to bring you a Magickal system which connects, deeply and directly, with the Ancient Spirits of the Loa. Revered since time immemorial, the Loa possess GREAT POWER - power which can now be put to work in YOUR life! Complete with all of the required day and candle-colour charts, Power Spells of the Loa is a simple, PRACTICAL system, for drawing specific energies into your life, and putting them to work IMMEDIATELY. Inside this remarkable publication, you will find a complete series of massively powerful spells for Love, Luck, Wealth, Healing, Success, Fertility, Protection, and more. If you've ever wondered about spellcraft that goes beyond anything you've heard of before, Power Spells of the Loa will provide your answers and MUCH, MUCH, MORE!